Long time ago I wrote a short blogpost about Business content (BI Content or BCT) activation procedure. However the post is just really brief. Therefore I establish on that post and will try to improve it within this post. So what I have to do in order to activate BI Content? 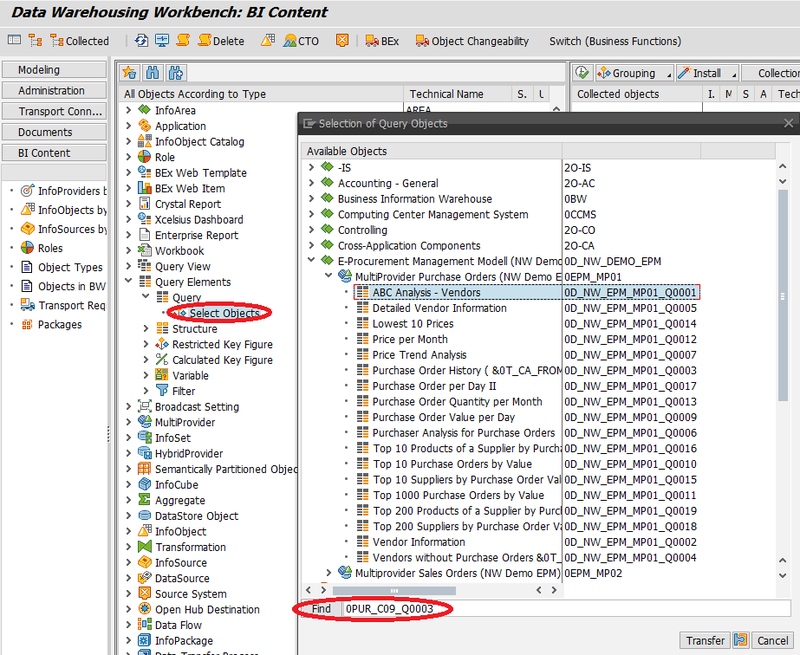 First let’s check if BI Content is present in your SAP NetWeaver based system. This can be done while user is logged in the system e.g. via SAP GUI. In menu of the system choose System -> Status -> Component Information. Here observe if there is software component called BI_CONT. I this is not there then there is nothing to be activated. You need to ask your SAP Basis support about missing component. They have to install it via TA SAINT. just check what objects are supposed to be installed and search for them. Grouping -> Only Necessary Objects – by this only objects which are needed for report’s data flow will be included in activation.